Find out the essentials of what to bring with you when you move into your new home at Evergreen. Sustainability is an important component of Residential and Dining Service’s mission as well as a big part of your education. Consider your environmental impact as you pack and plan for your arrival. Many students choose to bring too many belongings. A good rule of thumb is that if you’re bringing more than fits into one vehicle, you’re bringing too much. We strongly encourage you to be prepared for a natural disaster by assembling an Emergency Supply Kit. We also strongly suggest reviewing the Health and Counseling Services Parent Checklist. There is one community kitchen in residence hall A with limited cooking supplies. If you plan to use the kitchen, you may want to bring your own plate and utensils. All kitchens are equipped with an electric stove, refrigerator, sink and cupboard space. Cooking supplies and utensils, microwaves, and dishwashers are not provided. All residents will have a Living Learning Agreement facilitated by their RA to discuss cleaning responsibilities, eating habits, grocery shopping, etc. 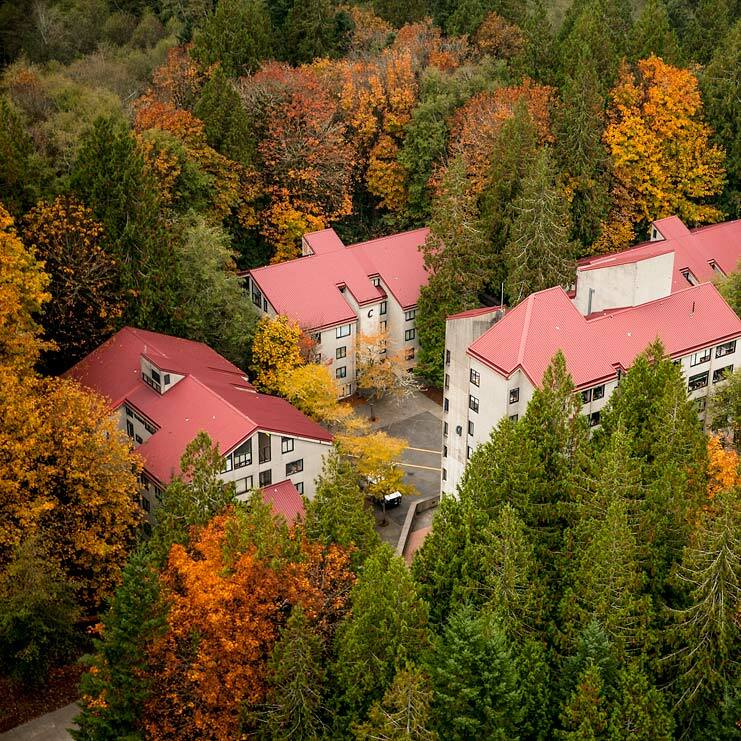 You can find most of what you need right on Evergreen’s campus, within walking distance. See what campus life is like outside of class. Olympia offers many local activities and attractions and is located near incredible mountains, the Pacific Ocean, and the city life of Seattle and Portland. See the great things Olympia has to offer.